We're looking to open an exciting new arts hub for the local community to use! SHOUT! Studios will empower the community to create exciting new work in a professional environment. SHOUT! Studios will give the residents in Ayr and the surrounding rural communities the chance to run a wonderful new arts hub purpose built for them. It will deliver free workshops to disadvantaged members of the community, as well as having a small, independent, community run cinema and cafe/bistro. The space is flexible, and can be used as a filmmaking studio, small working theatre, live performance venue or basic workshops/seminar space. The aim is to give the community a voice by allowing them to create visual art that is important to them, telling their own stories in their own unique way. They can then showcase their work to the rest of the community, allowing those on the fringes to really connect and share experiences with those who may not see their plight. We feel that SHOUT! Studios will change the community for the better; bringing people together. Create a cafe/bistro in the studio. Create a new studio facility. Create a small, independent cinema in the studio. 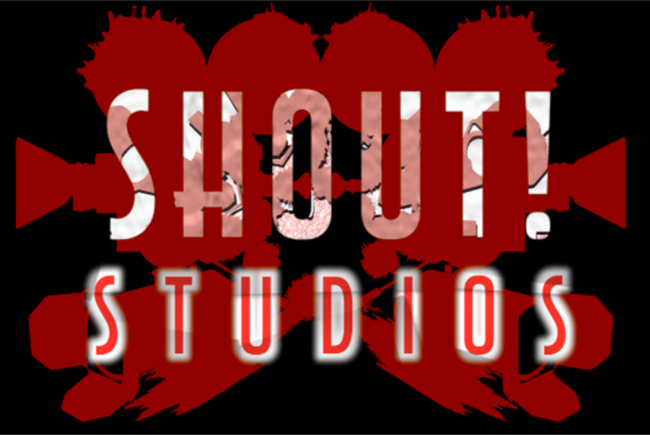 As well as giving those who don't get the opportunity to explore various art forms a place to call their own, the community will thrive and prosper with SHOUT! Studios at its heart. It will create jobs, educational opportunities and a social space for people to enjoy. The cafe/bistro will be run by locals struggling to access employment. The cinema's programme will be selected by local residents in the surrounding areas. And there's nothing like it in the area. Ayr and its surrounding communities have a wealth of creative talent and people who need to be heard, but struggle to communicate. Whether they are disadvantaged socially or physically, they can shape their surroundings in a positive way. It's about time we helped them to discover that voice, and share it with the world. SHOUT! Productions CIC was formed by Ross Hunter, an Ayrshire Filmmaker and Screenwriter and Kelly Craig, a Theatre Producer and Screenwriter. Between them they have received National awards for their work, been lauded in the House of Commons as examples of fantastic creative practice and have their work exhibited in far reaching areas of the world such as Japan and the United States. They created SHOUT! Productions to give those on the fringes of society a voice, helping them to become valued members of their community through artistic expression. SHOUT! runs practical filmmaking workshops for those with no experience, helping participants to tell their own stories in their own way; sharing experiences and educating their peers about subjects that are important to them. Project Delivery Manager: SHOUT! Productions CIC The Project Delivery Manager takes legal responsibility for receiving and spending the funds raised and ensuring the project is delivered.